Have I mentioned that I have a new stylist for my photo shoots? How lucky to have on hand when you're doing some baking and need to set an autumnal scene(paper leaves& pumpkins via Karen). She's sweet as can be and oh so helpful now that she's feeling better. Thanks for you wonderful well wishes. I loved hearing your words for the day. We'll have to do that again soon. It's been a long week: low on sleep, but high on cozy quiet moments. We made the most of a rainy, fever-free day with baking and mellow play. 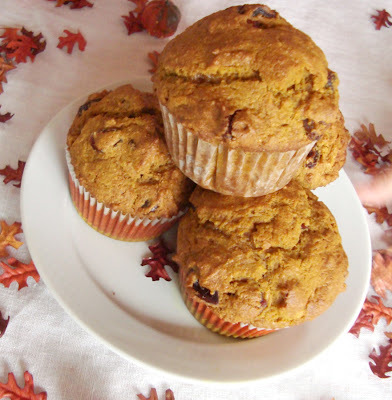 Perfect pumpkin muffin recipe courtesy of Laura. We opted for dried cranberries instead of the crystallized ginger... although next time I'm slipping in a few chunks of ginger into my own personal muffins. burlap embroidery- more about this soon! old travel blanket (I think I made it when she was two) that's simply happy, as well as warm. the travel pillow that is never out of reach! Not shown, but very present: a copy of Little House on the Prairie that we got quite far into. So as hard as it is to nurse a young child through sickness,I actually love the slowing down. Simple worked for us in a big way. p.s. Because I've been hearing from many parents with sick children, I thought I'd add this bit of an archived post from almost a year ago. Good resources. It's the beginning of cold and flu season in our neck of the woods, so I'm stocking up on our favorite comforts and immune supporting supplies. 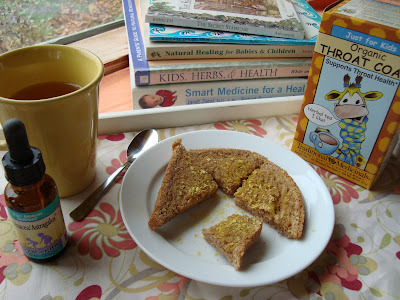 I thought I'd share my favorite "go to" books for children's health and natural home remedies for common illnesses. You can easily go Google symptoms, but I'm a bit old school and I like turning to my well-worn references for help. Wishing you a healthy day. My sweet Maya, glad to read that little one is on the mend, but yes we have to have low key days (or week) when they are very unwell. 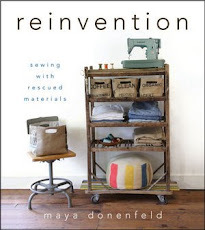 I'm looking forward to knowing more about the burlap embroidery !! Your "sick in bed station" is a must, you are a wonderful mama. If I get H1N1 can I spend time recovering on your couch. Funny I have been thinking about embroidering on burlap ever since I found a vintage craft book at the rummage sale about canvas embroidery.I just have so many projects on the go big and small. Hugs to your little one. Her little softie still walks in the forest with me tucked in my jacket pocket and I have been giving it extra hugs. I'm glad to hear that she's feeling better. 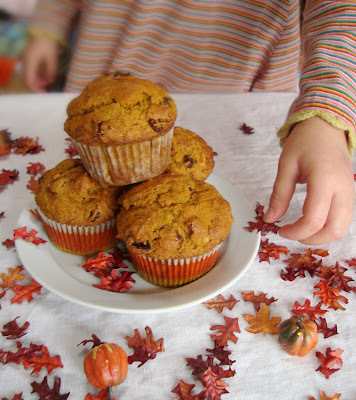 My daughter was very excited about having pumpkin muffins at preschool yesterday - that was the first that I'd ever heard of them. When I get sick will you come take care of me? You are the BEST Mamma! I miss my girl, so glad she is better!!!!! Aww, sorry to hear your little one has been under the weather. Mine are (again) as well. 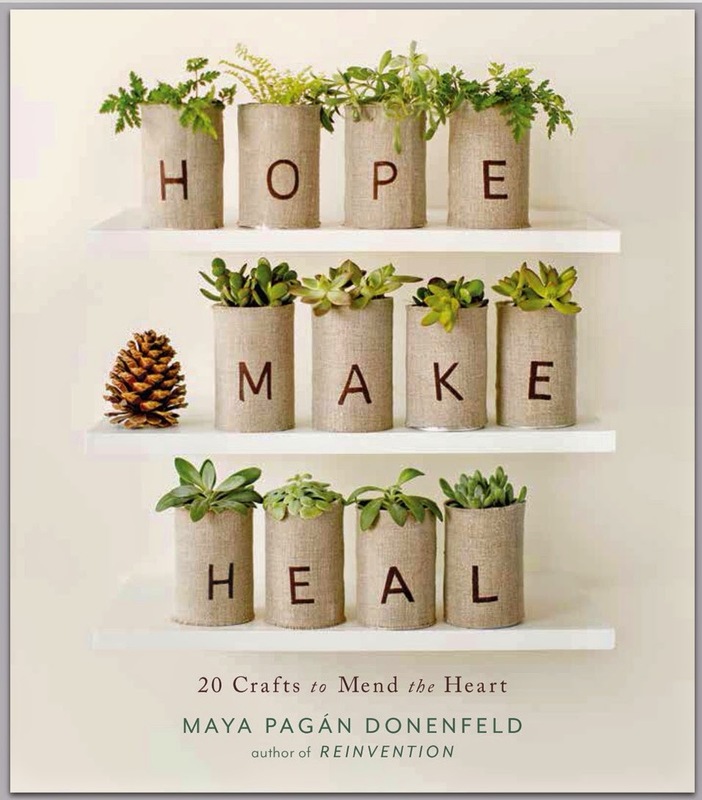 I love the idea of your little sick station, and the idea of snuggling up with a good book sounds like a wonderful way to heal. Sending warm tea and honey wishes your way. So glad she's feeling better and what a great stylist she is! Thanks for the book list! With two kidlets with on-going health problems, I find I desire to go to the clinic less often for the simple childhood or annual sicknesses. Glad your little one is doing better, being sick is no fun, although you look like you did a great job making it as fun as possible. Those are great books, I have the middle one. One of my friends is a herbalist and she gets us set up for the winter every year with tonics and herbal supplements for the kids. I believe they have amazing powers, but their is nothing like mama's love and a little r&r. Dear maya, it's my first time here at your little space...and i adore it lots. It's feel warming just thinking about how you care for your daughter...i am glad she is feeling better. Have a lovely merry happy day and love to you! I just stumbled here aimlessly wandering from blog to blog. It is wonderful. I shall make the muffins later but I'm a ginger fan! Thank you for the lovely ideas. I hope to be able to link to you one day. 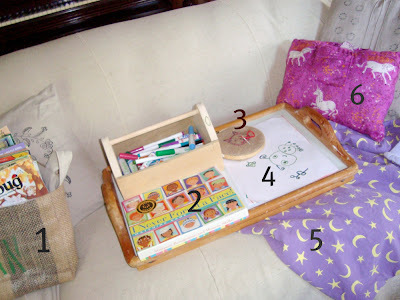 I too make things for kids- in France.